"This is the really hard part. And then it gets better. And then it gets hard again…" A24 has released the first teaser trailer for 20th Century Women, the latest film written & directed by Mike Mills, which is premiering at the New York Film Festival in just a few weeks. The film is about three women living in the late 1970s who explore love and freedom living together in a bohemian house in Santa Barbara. 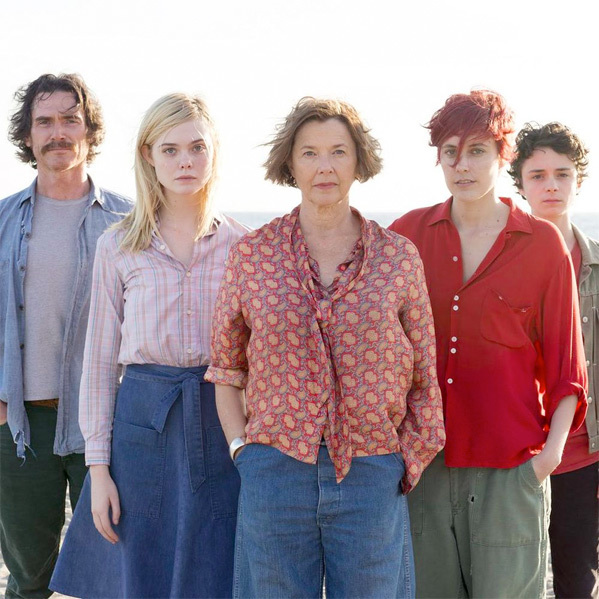 The full ensemble cast includes Annette Bening, Elle Fanning, Alia Shawkat, Laura Wiggins, Billy Crudup, Greta Gerwig, John Billingsley and Waleed Zuaiter. This lovely teaser is framed around a beautiful speech by Jimmy Carter in the 70s. It looks damn good, I really love the free love vibe to this. Dive right in. The story of three women who explore love and freedom in Southern California during the late 1970s. The great Annette Bening, in one of her very best performances, is Dorothea, a single mother raising her teenage son, Jamie (Lucas Jade Zumann), in a sprawling bohemian house, which is shared by an itinerant carpenter (Billy Crudup) and a punk artist with a Bowie haircut (Greta Gerwig) and frequented by Jamie's rebellious friend Julie (Elle Fanning). 20th Century Women is warm, funny, and a work of passionate artistry. 20th Century Women is both written and directed by American filmmaker Mike Mills, of the films Thumbsucker and Beginners previously. The film will premiere at the New York Film Festival next month. A24 will then release 20th Century Women in select theaters starting December 21st this fall. Sorry, but I find it quite hard to feel for these kind of characters any more. Sure, they are women, but they are living in SOUTHERN CALIFORNIA in nice suburban neighborhoods and are White...so sorry your life feels hard. There are just bigger fish to fry when it comes to social inequality. // How about a movie on Asian Americans? The struggle to live up to the "model minority" status.